Police want to identify this cyclist after a coach driver was spat at. A cyclist wearing a flat cap is alleged to have spat twice at a coach driver. 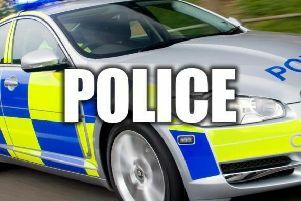 Police said at 8.45am on March 17, on Marine Road Central in Morecambe, a male coach driver was approached by a man on his bike who acted in an aggressive manner and then allegedly spat in his face before leaving the area on his bike. The cyclist was a white man, slim build with a small white goatee beard and glasses and wearing a green flat cap and dark jacket with paint splatters on and grey trainers. The cyclist was riding a silver Raleigh Oakland bike or similar. Anybody with any information can call police on 101 quoting ref number 0220 of 17/03/15 or Crimestoppers anonymously on 0800 555 111 or on-line at Crimestoppers-uk.org. No personal details are taken.